Six Natural leather coasters showcased in either an oak or walnut tray. Felt protector on the bottom of each tray. 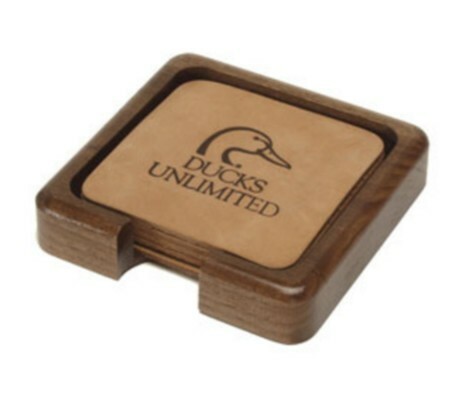 Coaster Size: 3 3/8" x 3 3/8"
Imprint Area Size: 3" x 3"